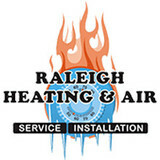 Since 1992 Raleigh Heating & Air has run on the concept of professional service from a personal perspective. We will always treat your home and family with the utmost respect, provide a friendly and knowledgeable voice when you need us - 7 days a week, and we'll hold our work to the highest standards and stand by that work, guaranteed. After all, its your comfort, our reputation. When it comes to your home, comfort is key. 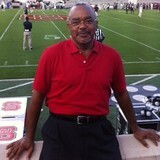 Don’t let yourself get stuck out in the cold or weighed down by the overwhelming North Carolina heat. To prevent this discomfort, keep your heating and cooling systems up to date by relying on a team of professional and trained technicians. 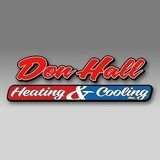 Serving Greensboro, NC and the surrounding areas, Don Hall Heating & Cooling Inc. is here to provide you with some of the best heating and cooling system services around. We can install a new system, replace an old system, or repair and maintain your current system. These kinds of things can be tricky, yet necessary to keep a balance of comfort in your home. If you think you’re in need of a new heating or cooling system, give us a call to replace and install a new-and-improved unit. Sometimes, the current heating or cooling system you’re relying on malfunctions. There’s no need to worry about having to replace the entire unit. Just call Don Hall’s crew to come in and take a look. We are experienced technicians that provide quality air conditioning repair, heating repair, and heat pump repair for all of Hillsborough, NC; Durham, NC; Greensboro, NC; and the surrounding areas. Around-the-Clock Service You Can Rely On You never know when your system is going to fail on you, and Mother Nature is even more unpredictable than that. No one knows what kinds of weather she’ll grace North Carolina with next, so you should be prepared for anything. When emergencies arise, Don Hall’s team is available for air conditioning repair, heat pump repair, and heating repair, no matter the time of the day or night. We provide 24-hour emergency services for any repairs and replacements you may need done to your heating or air conditioning system. HVAC and residential and light commercial remodeling. William D. Taylor is a Trusted North Carolina licensed and Insured Air Conditioning, Heating, Electrical, Plumbing Refrigeration Company in Durham North Carolina. William Taylor has over three (3) decades of experience in this industry and routinely keeps up with advancements and technologies in order to provide the premier services our customers deserve. Requirements for HVAC contractors vary from state to state, but our Durham based HVAC Company has the following NC State licenses, and certifications we earned as proof of our knowledge and qualification • Heating: H1, H2, H3, Class I • Refrigeration • Electrical • Plumbing Class I • EPA Certified • Certified Infrared Thermographer Level 1 • Nate Certified: A/C service installation, Air Distribution service installation, Air-to-Air Heat Pump service installation, Gas Furnaces service installation. 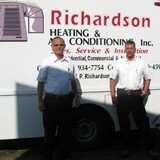 At Richardson Heating & Air Conditioning, Inc., we are your premier choice for professional and affordable HVAC repair and maintenance services. We serve customers in Clayton, Garner, Smithfield, Apex, Cary, Raleigh, Fuquay-Varina, and surrounding areas. We've been in business since 2004. Our owner, David, has nearly 40 years of experience and is licensed in residential, commercial, and industrial equipment repair and replacement. We’re a small company that is proud to offer you personalized service. Let us address all of your heating, air conditioning and electrical needs without breaking your budget. 2017 WARL Viewer's Choice Award Winner for Heating and Air Conditioning. Voted Best HVAC Company in both Holly Springs and Fuquay-Varina by readers of Suburban Living Magazine. Alexander Heating and Air Conditioning provides Commercial and Residential Heating, Air Conditioning and Plumbing Repair, Service and New installation in Raleigh, Apex, Cary, Holly Springs, Fuquay Varina and greater Wake County. Rated 'A+' with the Better Business Bureau (BBB), we provide, quick, honest and affordable heating and air conditioning repair and service you can trust. With our 100% Satisfaction Guarantee, you can trust Alexander Heating and Air Conditioning to provide you with the best heating and air conditioning repair and service, at the best possible price available. Whether you need a major heating or air conditioning system repair, a brand new unit, or are looking for a routine heating and air conditioning maintenance service, our goal is to provide you with a level of service that will leave you 100% satisfied. Our HVAC technicians are qualified, certified, and experienced in troubleshooting and solving all heating and air conditioning problems—including all makes and models. HTS offers a broad range of residential services to get your home to your comfort level. From tune-ups to complete replacement, let us get your system running right! Trust Delta Heating and Cooling for your Raleigh Air Conditioning and Heating needs. We're ready to help whether you need air conditioner repair, maintenance, or installation. Contact us today! R & S Mechanical was founded in 2003 and specializes in the installation, services and maintenance of Refrigeration and HVAC equipment. 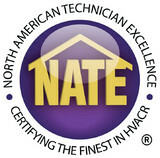 We are state licensed HVAC contractors and Refrigeration contractors. We provide services for commercial, residential, and light industrial facilities. Our services extend to chillers and Ice Rink Facilities. We offer free on-site estimates and equipment quotes, as well as a HVAC sales and service agreements. Our technicians have been well trained and are knowledgeable in the fields of commercial refrigeration and HVAC services. In 2007, Carolina Comfort Air opened its doors in Smithfield, NC with founders Phillip Tyler and Hank Richard at the helm. With a combined experience of 18 years and after holding every position in the HVAC world, Phillip and Hank felt they had the skills and the knowledge to offer a better HVAC experience to the consumer. The company started with only five employees and now has over 300 employees in ten short years. Their passion and expertise have shown through their commitment to providing top-notch service to local communities all over North Carolina. Since opening in 2007, Carolina Comfort Air has opened up additional locations to serve more of the state of North Carolina. Through hard work and satisfied customers, we were able to expand our services to areas such as Clayton, Raleigh, Jacksonville, Goldsboro, Wilmington, Kinston, Morehead City, and Fayetteville. We also earned an “A” rating through the Better Business Bureau due to our dedication and consistent work. Each branch is equipped with a group of expert HVAC specialists that are ready to assist you with any of your AC and heating needs. We believe that an investment in our employees is an investment in our customers. That is why many of our team members have traveled across the country to numerous HVAC training seminars and conferences to stay up to date in the forever-changing market of the HVAC industry. Debnam Maintenance & Hauling in Wendell, NC specializes in HVAC repair/installation for over 7 years. For all of your HVAC needs Debnam is the company for you! We will work with you step by step to your full satisfaction. We've been in business since 1983. We are honest and professional. Mitchell Heating & Cooling has been proudly owned and operated by Mike Mitchell and his family since 1973. Since the Mitchell name is associated with every job, Allen personally inspects each assignment and demands the very best from each of his employees. We have held the same HVAC license number, without interruption, since first receiving it in 1973. Mitchell Heating & Cooling is a licensed Heating, Ventilating, and Air Conditioning Contractor in the state of North Carolina (license number 06374). We strive to exceed our customer’s expectations with every single installation or service. Merely meeting expectation can be accomplished by the average company. Just locate one of our customers and ask about out work. We employ highly skilled and courteous employees that are obligated to annually return to training schools to enhance their working knowledge of the most up-to-date HVAC products and technologies. Our Family Has Served Your Family and Neighbors in the Triangle Since 1988. Now a second-generation company, we’re committed to continuing the tradition of providing our community with the affordable and dependable service we’ve always been known for. We specialize in the installation of new, highly efficient American Standard heating and cooling systems, as well as providing high quality repair and maintenance services. We are available 24 hours a day, seven days a week to provide service you can count on. Generally, Forest Hills HVAC contractors or HVAC technicians work with or run companies that repair or install heating systems and air conditioning units for homes. But they have specialized services too. For example, if you are a wine collector and you are thinking of installing a wine cellar in your Forest Hills, NC home, you might hire a North Carolina HVAC professional who specializes in refrigeration work. HVAC professionals can use their skills to help you to save money on your Forest Hills, NC home’s energy bills by installing radiant barriers in your attic or split-zone heating and cooling systems to heat rooms like solariums while cooling upstairs bedrooms during warmer temperatures. Find HVAC contractors on Houzz. Look in the Professionals section of our website and search for North Carolina HVAC contractors. Read reviews and see how an HVAC contractor might approach your Forest Hills, NC home’s heating and cooling challenges.